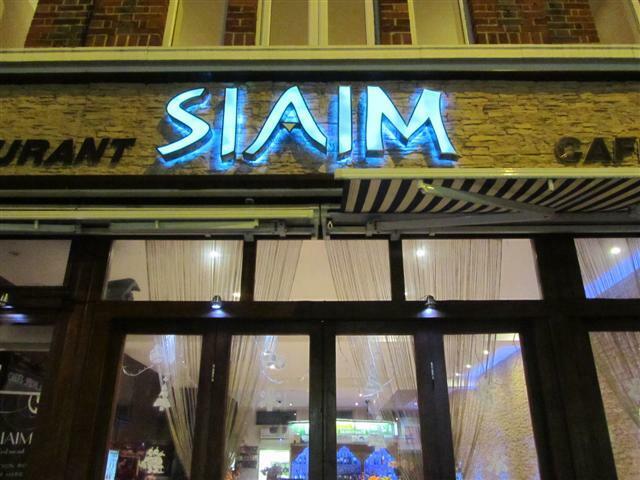 If you fancy a good evening meal out in a relaxed environment in North London, then you should give Siaim a go. It is noticeable from the subtly changing colour of its sign outside. This continues into the interior of the restaurant, with the wall backlight gradually changing from colour to colour. There is cushioned seating along one of the walls and the rest of the dining area is made up of dark wooden tables and chairs. The bar and counter area are at the back end of the restaurant. A really great starter was the Mirza. This was a combination of smoked aubergine, garlic and tomatoes. The smoky flavour came through but was not too heavy. It was served with some warm flat bread. 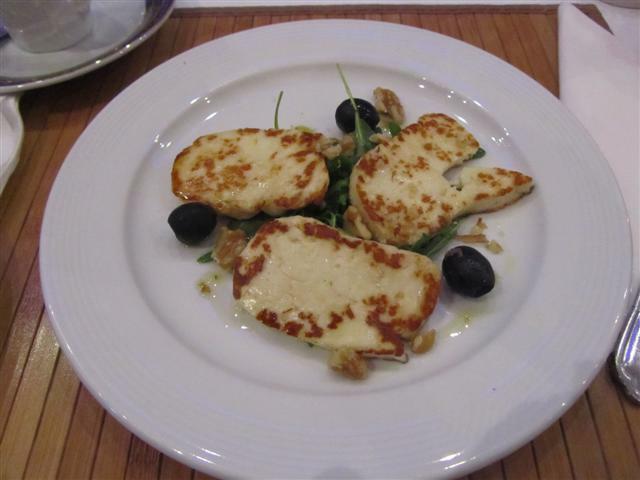 The halloumi cheese were grilled slices and they were served with rocket leaves, olives and walnuts. The halloumi had been cooked just right. 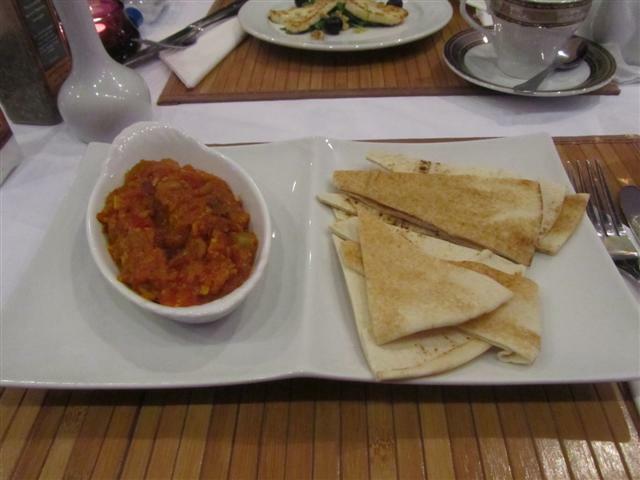 Siaim had quite a varied menu with some of it having Turkish influences and also some Mediterranean items. Originally, I was thinking of having a fish dish. When we asked the waitress if the fish was fresh she told us that it wasn’t fresh in that day. I really appreciated her honesty. On that note, I opted for the Risotto Verdi. 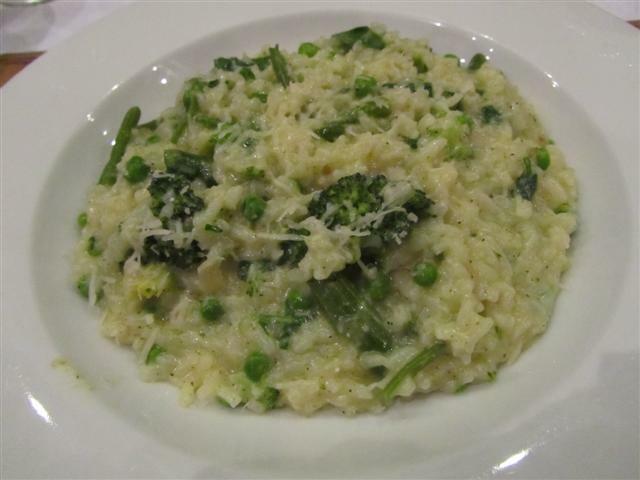 A huge dish of hearty creamy risotto was served. It had plenty of green beans, peas, baby spinach, courgettes and asparagus. A good dish to have on this cold wintery evening. 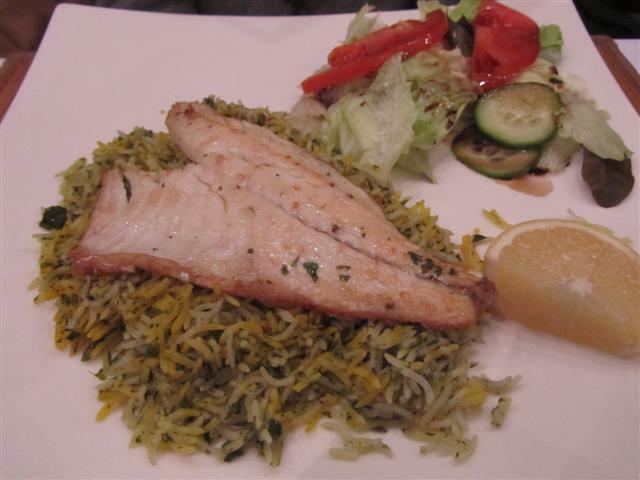 My friend chose the Persian sea bass. This fillet of fish had been cooked in wine, garlic and parsley. It was served with some herby rice and salad. It was an enjoyable and tasty main dish. As for drinks, Siaim does a range of hot and cold drinks including freshly squeezed juices and smoothies. The fresh mint tea that we had was served in small white teapots. It was nice that the staff refilled the pots with hot water during our meal, when we asked them. 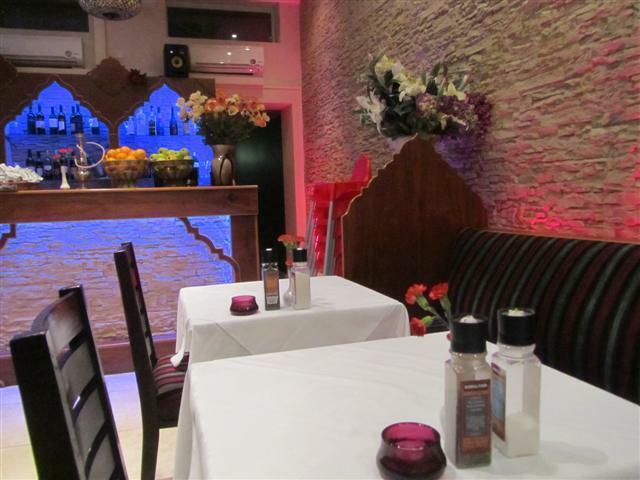 The staff were really friendly and made us feel very relaxed during our meal. Even though we ended up being the last ones in the restaurant, and it was closing time, they did not come and ask us to leave. They let us take our time and did not hurry us. It was only when we noticed that they were starting to tidy up for the night, that we said that we wouldn’t have minded being told that they were going to be closing shortly. Siaim was a good restaurant and it got busier during the evening time. It is a place that I’m sure that we will return to when we want a nice relaxed meal out.